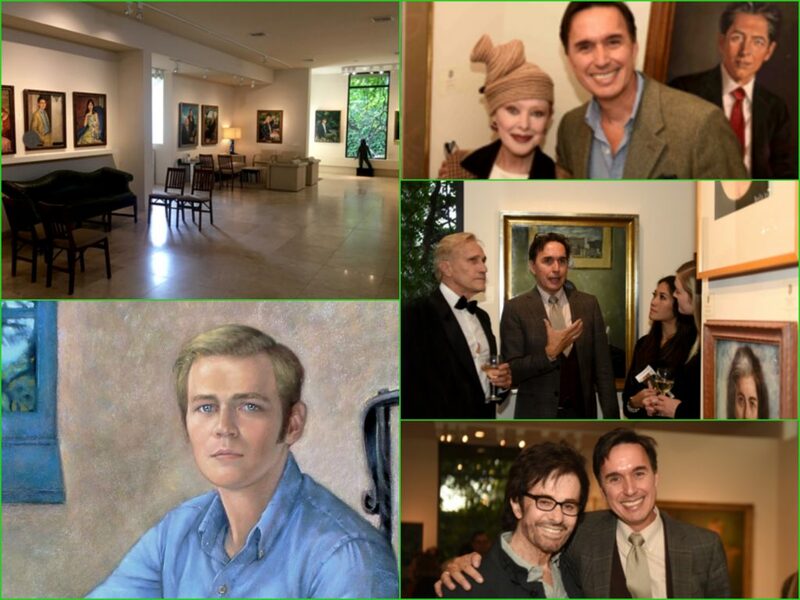 Home / CRUISING THE PAST / Juan Bastos carries on the tradition of John Singer Sargent with a Latino American influence. 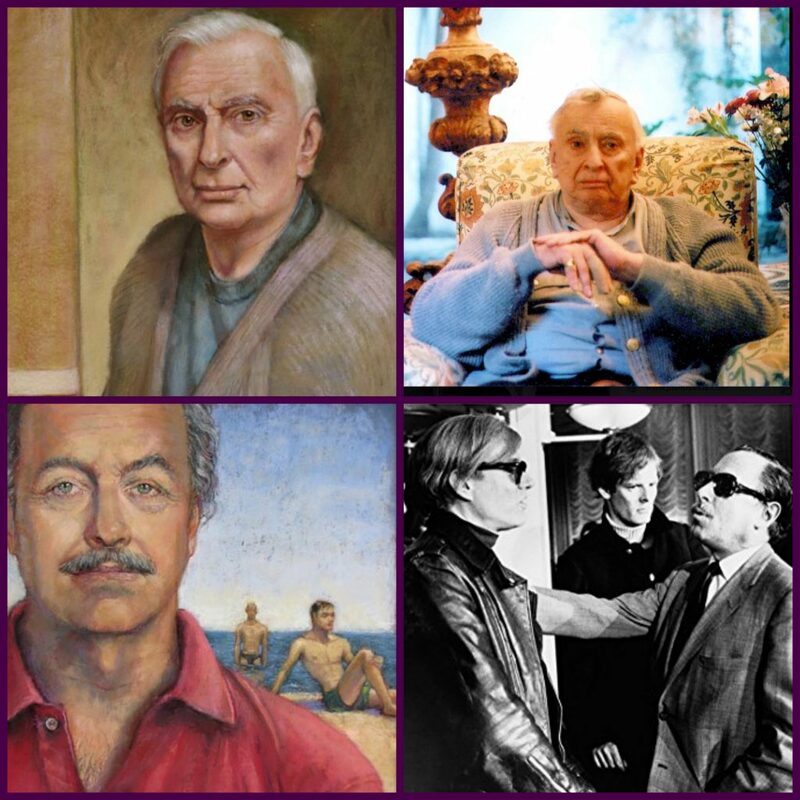 Self portrait, Juan Bastos, Philip Niarchos and Gore Vidal. 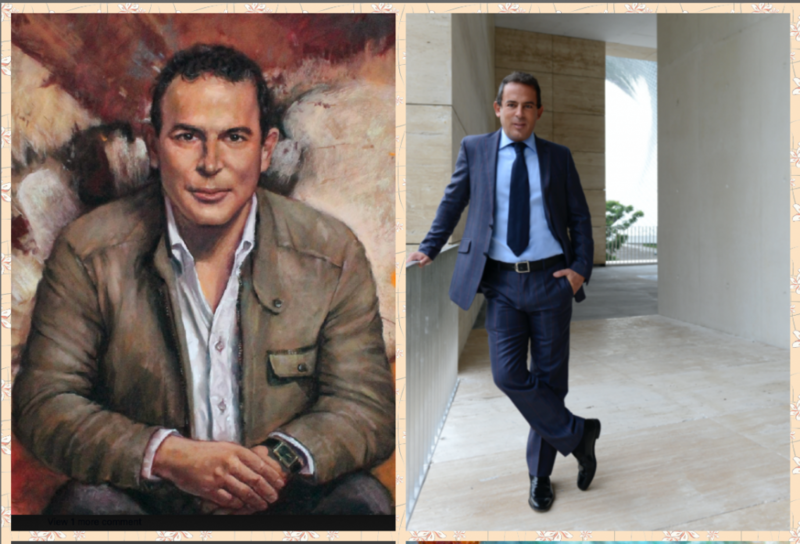 Juan Bastos carries on the tradition of John Singer Sargent with a Latino American influence. Juan Fernando Bastos (Caracas, 1958) is a portrait artist whose transit through Venezuela, Bolivia, Washington, Baltimore and finally Los Angeles has nourished a one of a kind aesthetic in visual representation. His work has reached different latitudes and represents the success of transcultural phenomena. He’s considered one of the most in-demand portrait artists in the world. 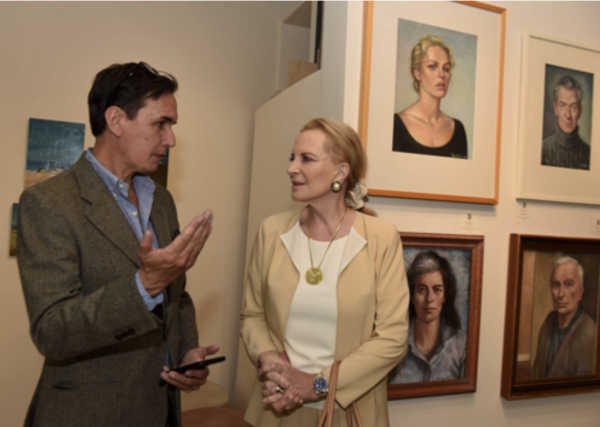 Juan Bastos with Britain’s Princess Michael of Kent at a recent exhibition of Juan’s paintings in Los Angeles. Juan considers some of his most important works the portrait of Gore Vidal – novelist, essayist, playwright, screenwriter and provocateur whose career has spanned six decades. He was the half-brother of Jacqueline Kennedy Onassis and candidate for the Nobel Prize in Literature. Juan formed a close relationship with Vidal during the writer’s final years living in the Hollywood Hills. 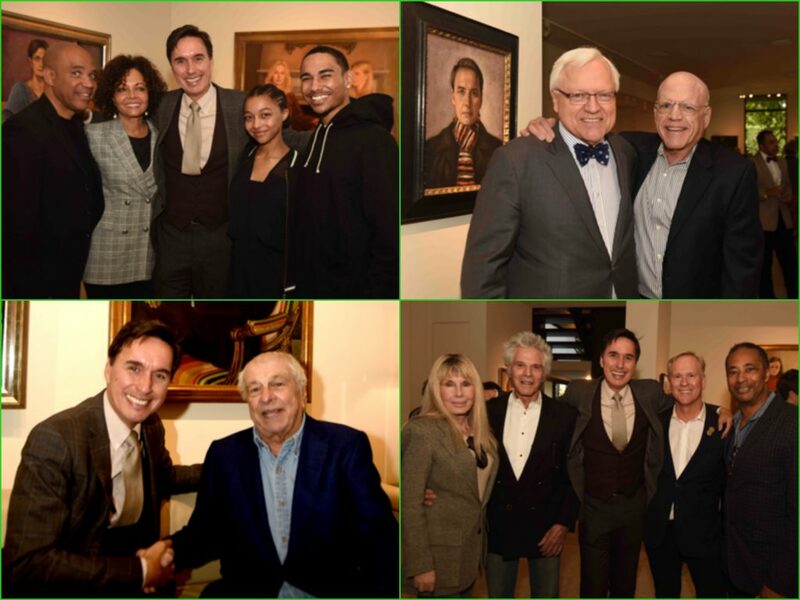 (Left) Portraits of Gore Vidal and Tennessee Williams by Juan.. (Right) Vidal is seen at home and Williams is seen aboard the SS France with Andy Warhol. Bastos also has portrayed such diverse personalities like the Baroness De Lassus in the Chateau de Valmirande (France) – a castle that contains more than 3 of his works, and the President of Bolivia, Gonzalo Sánchez de Lozada and his wife Ximena Iturralde (Bastos’ mother’s cousin). 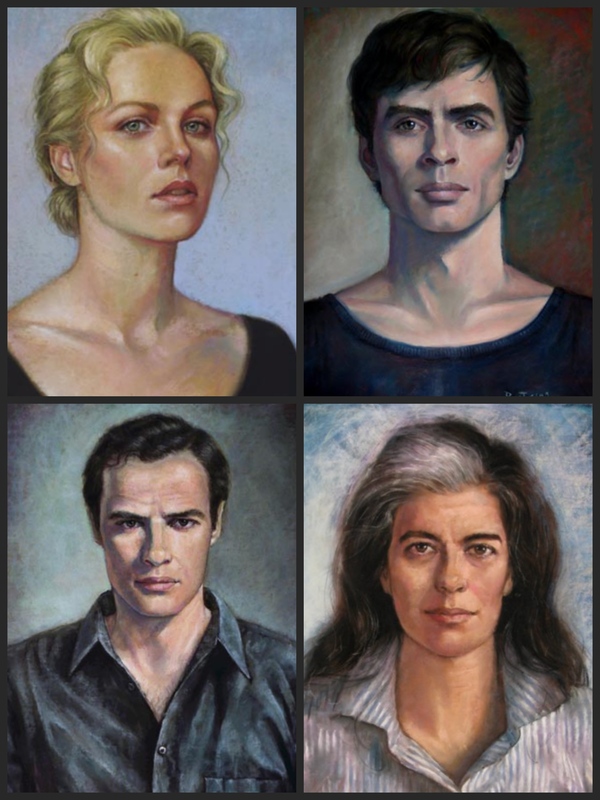 Clockwise: Portraits of Charlize Theron, Mikhail Baryshnikov, Susan Sontag and Marlon Brando. 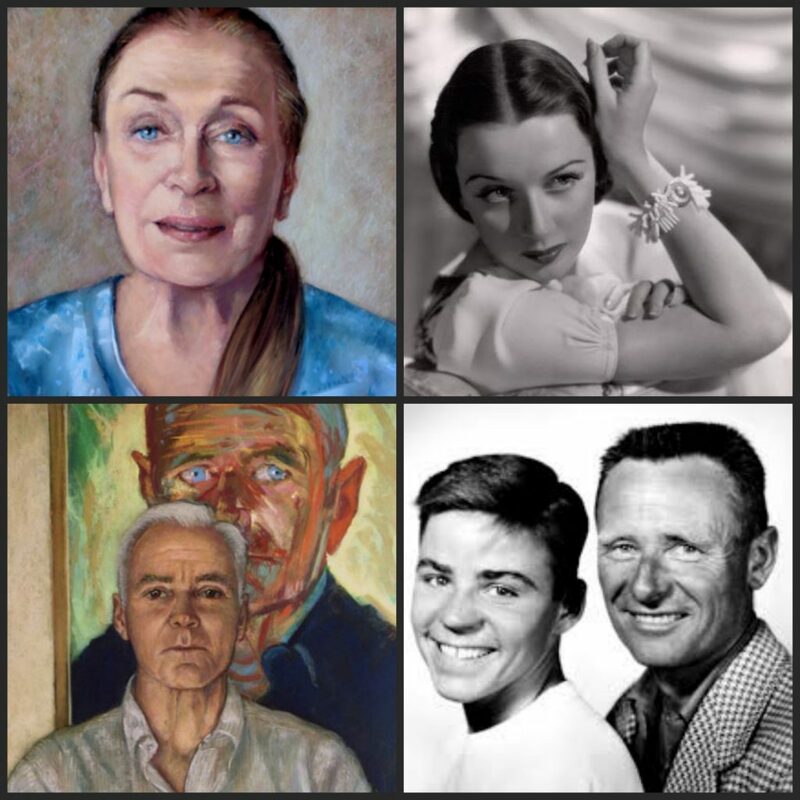 Juan worked with Patricia Morison, a 101-year-old actress, who starred on Broadway in Cole Porter’s Kiss Me, Kate in 1948, and created her portrait when she was 99. Eugenio López Alonso, the sole heir to the Jumex fruit-juice fortune, is known as an arts patron whose foundation underwrites contemporary art exhibitions in Mexico, courses in Latin American art at U.S. colleges and art schools, and programs at U.S. museums focusing on Latin American art. Considering his subjects to be timeless, Bastos represents his sitters with the typical Latino American melancholy that overrules any chronological exactness. 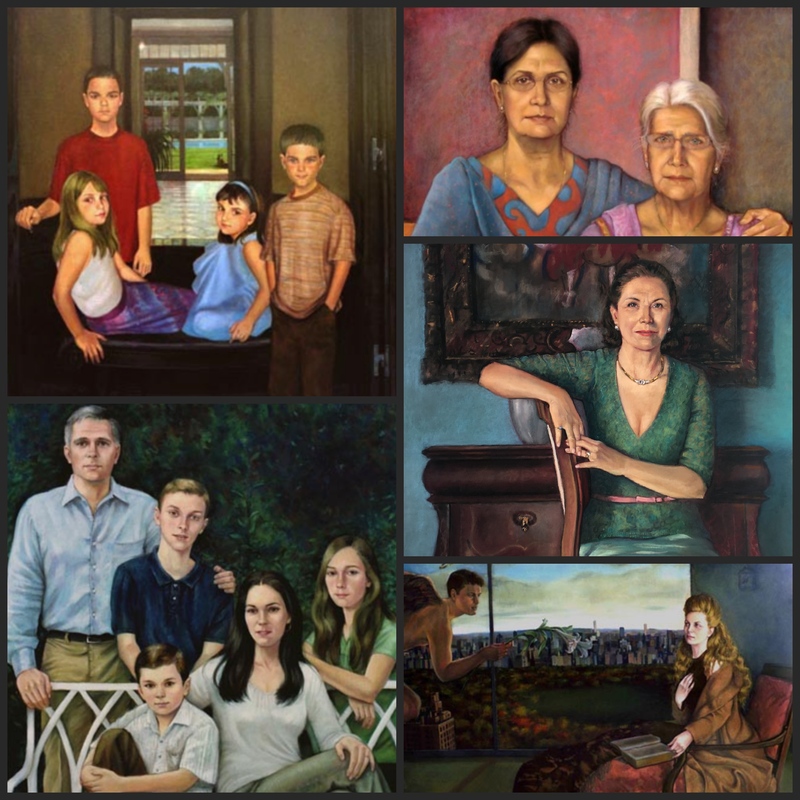 Portraits of Broadway star Patricia Morrison and artist Don Bacardy. Photos of Morrison in her early Broadway career and Barcardy with writer Christopher Isherwood. 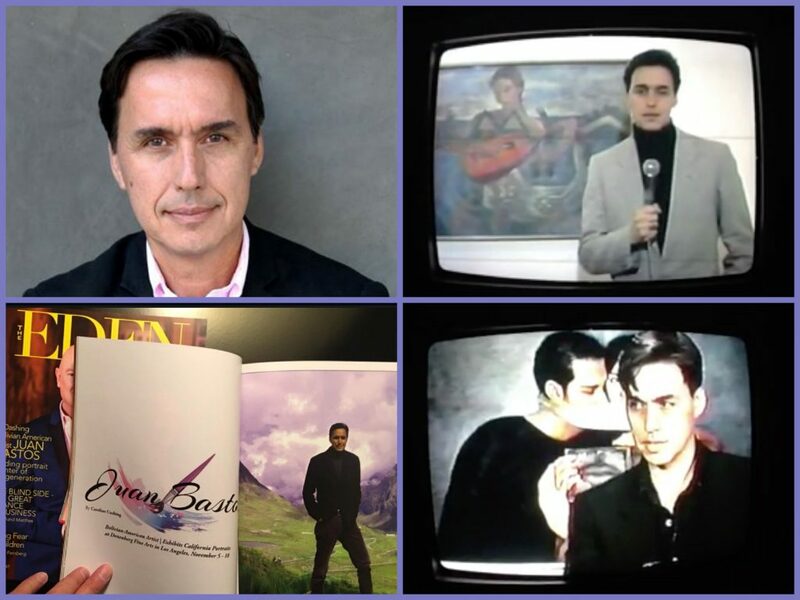 Clockwise: Images of Juan Bastos. Including TV interviews in South America and a recent magazine feature. 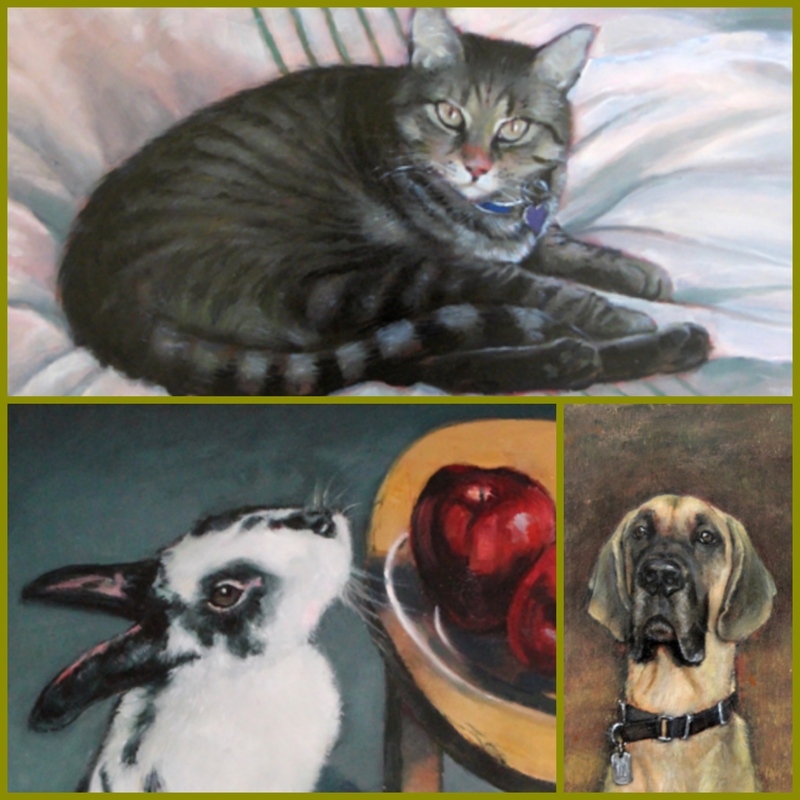 Juan’s love of animals is seen in these wonderful portraits of a cat, bunny and a dog. California families and group portraits by Juan Bastos. “I grew up to discover that my roots are not one-sided, my family is bicultural and I became a different kind of young boy. I played the piano; I went to the movies 6 days a week and I was interested in everything that was happening in the world. I read Hesse and Mann when I was in Bolivia, but I only read Amor en los Tiempos del Cólera when I moved to Washington” and that’s how the eclecticism of the Latino American diaspora is made.” Juan shared. 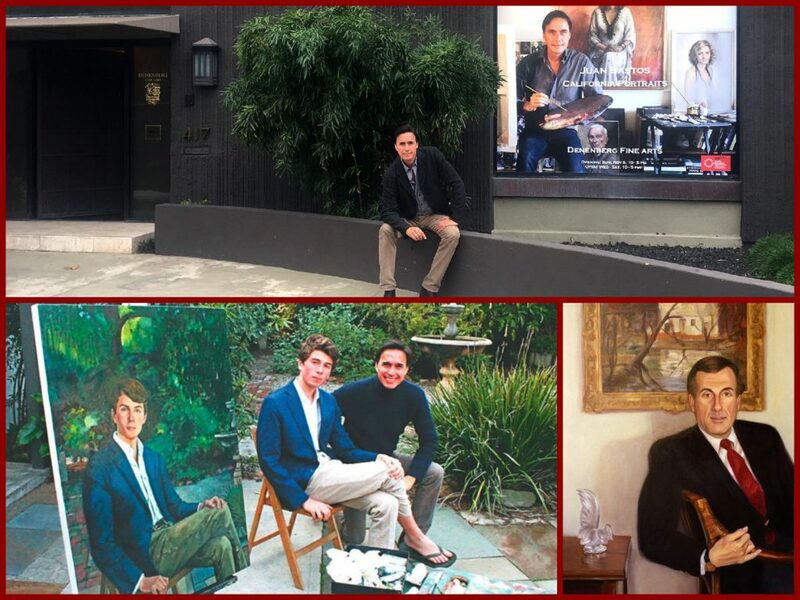 Clockwise: Juan at a recent art gallery opening; Portrait of a Southern California business leader; Juan with a young man and his portrait. 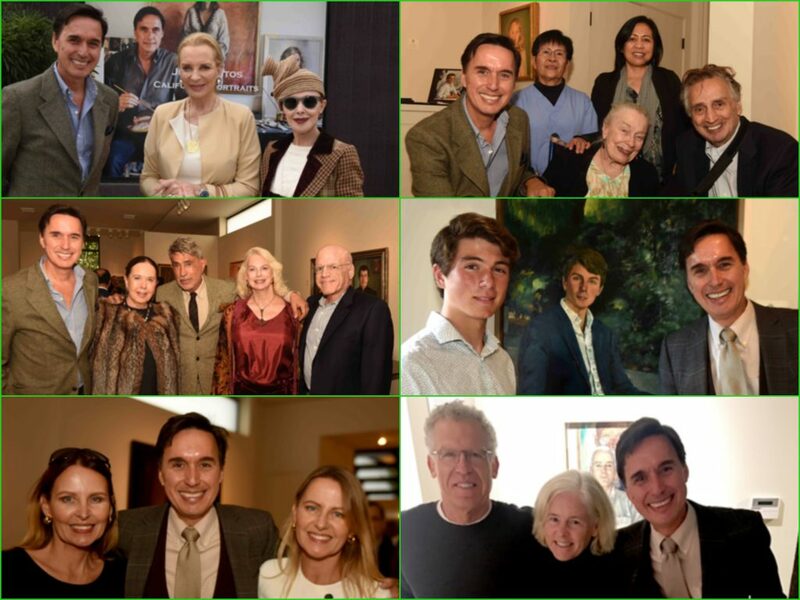 Guests at Juan’s recent exhibition. Including views of the gallery and recent portrait of a young man. 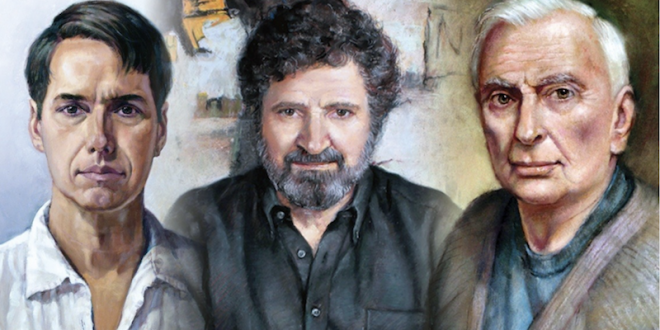 Juan has done hundreds of portraits over the past 40 years of his artistic career, which has made one of the top portrait artists in the world. Please visit Juan’s excellent website by clicking here. Next: PSYCHO star JANET LEIGH onboard the SUPER CHIEF – the All-Pullman Train of the Stars.